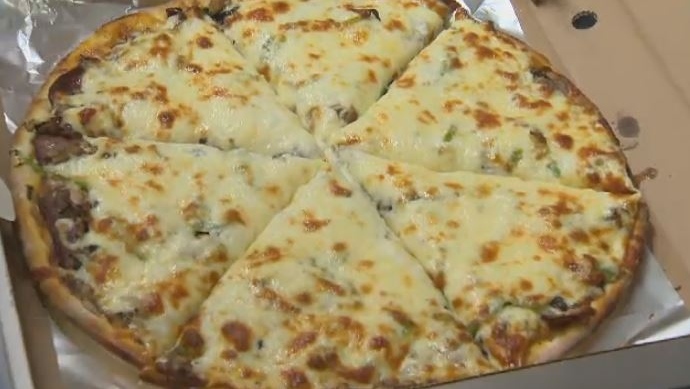 Pictou County Pizza lovers in the Halifax area can now indulge in a slice of their favourite pie, thanks to a special delivery service. More than 40 years ago, a Pictou County family began tossing pizzas that would gain an appreciation from coast-to-coast. As any enthusiast knows, the spicy brown sauce is what makes Pictou County-style pizza unique. As for what’s in it, that has remained a well-kept secret for decades. Cougias’ father started the company in the 1970s. Acropole Pizza now boasts three locations in Pictou County and a fourth location 45 minutes away, in Truro, N.S. Cougias says people from as far away as the United States have dropped in to dine on the award-winning delicacy. It’s not uncommon to hear stories of Pictou County natives freezing pizzas to take back to Ontario or Alberta or even further so they can enjoy a taste of their old home in their new one. UPS will even ship frozen pizzas to homes across Canada. But now Halifax-area Pictou County Pizza lovers will have access to a fresh, hot pie, if they’re willing to pay a $10 delivery fee. The Truro location recently posted on Facebook, asking if people in the Halifax area would be interested in pre-ordering Acropole Pizza and picking it up at a specific location on a specific date. “It blew up,” says Cougias’ brother, Tommy Chapman, who owns the Truro location. The first delivery will be made on Feb. 10, with a driver transporting the precious Pictou County-style pies from Acropole in Truro to a location in Halifax. But Chapman says they’re only taking so many orders, and they’re almost at capacity, so don’t wait until the last minute to order. Kevin Gerrior is one hungry Haligonian eagerly awaiting the arrival of his favourite food. Born and raised in Pictou County, Gerrior is passionate about the pie and considers himself a brown sauce aficionado. As for the $10 delivery fee, Gerrior says it’s a small price to pay for a taste of home. Want to place an order? Contact Acropole Pizza in Truro on Facebook. Halifax-area Pictou County Pizza lovers will soon have access to a fresh, hot pie, if they’re willing to pay a $10 delivery fee.